Fans heading to the 2014 PGA Grand Slam of Golf are urged to take public transportation, the PGA of America said today. David Charles, Senior Director of Championships for the PGA of America, said: “In light of increased demand for tickets this year we want to alert fans that wait times for shuttle buses from the parking venue to the golf course may be longer than usual. Public buses on the number 7 and 8 routes will drop off fans directly in front of the golf course, eliminating the need to take a shuttle bus from the parking venue. White Hill Field is the car parking location for all three days of the Grand Slam, situated a few minutes west of Port Royal Golf Course. Motorbike riders will be permitted to park at Death Valley, just footsteps from the entrance gate to the event. The increased demand for Grand Slam tickets is a result of the PGA of America’s first-of-its-kind complimentary ticket offer. The offer was made to island residents as a gesture of gratitude for eight successful years of Grand Slam tournaments in Bermuda. 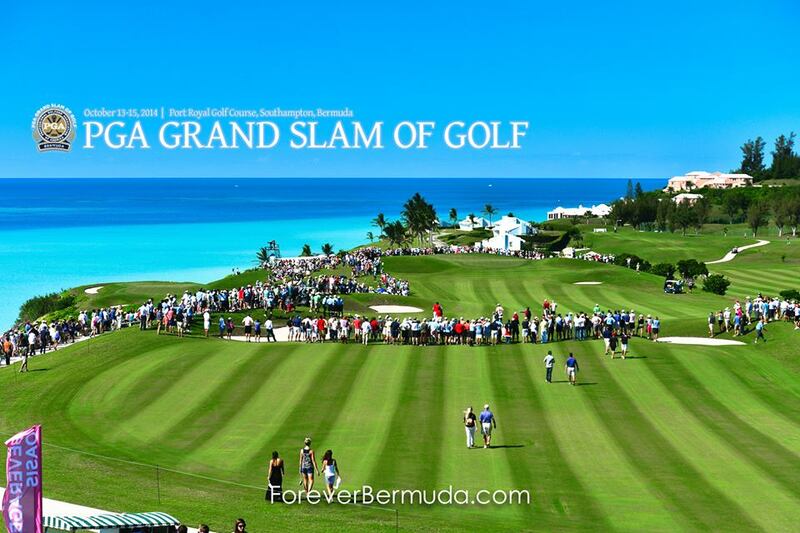 This year’s event at Port Royal Golf Course will be the final Grand Slam of Golf in Bermuda. October 10 (Friday) is the last day for residents to collect free tickets at the pro shops of Port Royal and Turtle Hill Golf Courses. The PGA Grand Slam of Golf takes place October 13th to October 15th, featuring four Major champions – Bubba Watson (Masters), Martin Kaymer (U.S. Open), Rory McIlroy (PGA and Open Championships) and Jim Furyk (2008 Grand Slam Champion). Furyk completes the foursome as an alternate from the Major Champions Point List because McIlroy won two Major championships this year. The Grand Slam is broadcast to a worldwide audience on TNT and is hosted by the Bermuda Tourism Authority, Port Royal Golf Course and the Fairmont Southampton.